I worked 35 years in the healthcare field. Cared for patients, built, remodeled, supplied, organized, and supervised several healthcare and surgery facilities. For a short while, for several years, I had an Online Shop and a Physical Store inside a larger store. I thoroughly enjoyed everything about this. But could never really make a living at it. I believe the more you learn and know about what you are doing or trying to accomplish, the better you are prepared to accomplish it. I have lived by this principle. Besides the fact that I love learning and expanding my knowledge. Now retired, I want to pursue my interest in having my own successful Online Business. I have read many of the the Wealthy Affiliate posts and I truly believe that its members desire to help one learn and become a Wealthy Affiliate. I am so looking forward to chatting with you all. Success to me is making money and being part of a team. I am ready and looking forward to becoming a "Wealthy Affiliate". My goals are to make enough money to help myself, my children, my grandchildren and my aging parents have an easier financial life. I want to give to the SPCA (I will never understand how anyone can mistreat a precious, loving animal.) and St. Jude's Children's Hospital (They do so much!). So Wealthy Affiliates I'm ready! Let's do this! Hi Phyllis welcome to WA and thank you for the follow. Great to hear as of now you have your new career here as a wealthy affiliate so awesome to hear. Just keep applying what you have learned from Kyle and his training, always believe in what you do and in yourself and just keep going forward. Thank you Andre. My plan exactly. Thanks Mitch. I am happy to be here. I have seen no other community like WA. The support and encouragement I have seen is unbelievable. I wish I had found WA sooner and got my act together sooner. Working hard for a better and more prosperous 2019! All the best, my dear! Mitch, you are probably right. I wasn't ready before, but I am now! It was meant to be. Thanks for the kind thought. Phyliss, I wanted to stop by and say hello here. I appreciate the kind note that you left me. The little dog in your profile picture is cute. I have a toy poodle that I hang out with. Congrats on your decision to start your new career as a Wealthy Affiliate as of January 1. If you are like most people, it will take time. It will seem like a long time for a while. Yet if you stick with it and follow the training, you will make enough to support the SPCA, St. Judes and do all things for your family that you would like to. Although the inability to focusing on one or two things has slowed me down a lot, I have made some money using what I have learned here at WA so I know the training works. Sondra I really appreciate your reply. I struggled a bit with finding a niche. But I think I have got that worked out and am setting up my website. Sticking with it and following the training I am definitely going to do. It was a huge inspiration to me to read the rest of that line. I want to accomplish that soooo much and I am giving it my all. The support from you and the others at WA has been amazing. And just reading your reply will keep me going. It has to be possible, I read it in so many posts. I will hang in there and work hard. Thank you so much for your response. 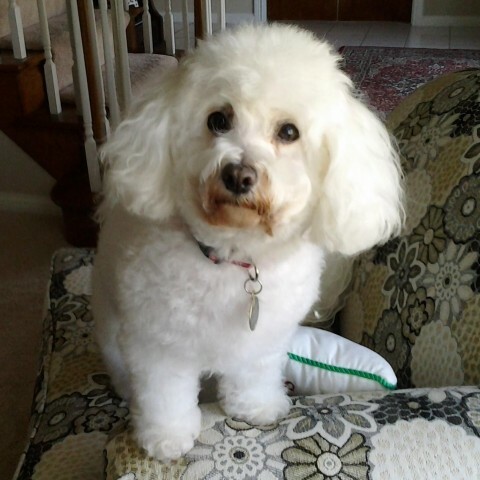 Sondra, I wanted to tell you the little dog in my profile picture is my precious Chloe. I had her 13 years before she went to the Rainbow Bridge. I think about her everyday. She was so sweet. I still have her two sisters by adoption, Lexi and Holly. They are Yorkies. They are 8 and 11. When I was young, our family had a couple of poodles. I love animals, especially my animal children. 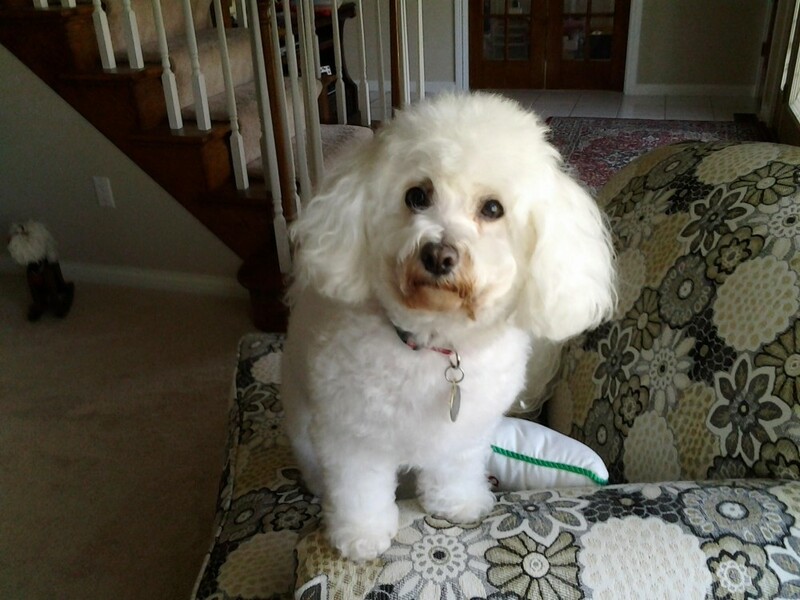 Thanks for sharing about your toy poodle. Hi there! Welcome to premium. You have absolutely made an awesome decision and now you have access to unlimited resources and help to make you succeed online. If you ever have any questions or need a hand with something, please feel free to give me a ring anytime as I would be very happy to help you out. Hello there, and Happy New Year! Welcome to Wealthy Affiliate Premium, I believe you have made one of the best decisions of your life! The platform here offers so much from 24/7 support from everyone in the community to step by step training videos and articles providing you all the information you need to be successful in creating an online business. Also if you ever need any help, please don't ever hesitate to reach out to me, as I will do the best I can to support you along your journey! Thanks for the support Zed. Struggled some with choosing my niche, but I think I have it figured out. Can't wait to start moving forward. I plan on viewing some of your training. Thanks for helping us all! Thanks, j52powell. Looking forward to the New Year! A great way to begin the New Year off and running! Congrats going Premium! Thanks, I think it was the next step! Is This For Real !